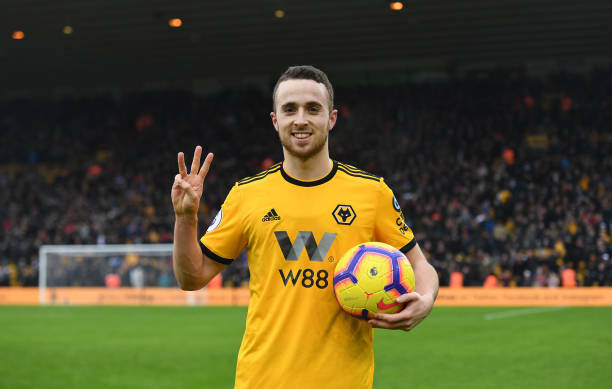 Diogo Jota scored a hat-trick to earn Wolverhamptom Wanderers a big 4-3 win over Leicester City on saturday in one of the best games in EPL season so far. The late winner for Wolves, after they had repelled two fightbacks from their Midlands rivals, sparked jubilation at Molineux that even saw victorious manager Nuno Espirito Santo sent off for celebrating on the pitch with his players. Yet he could hardly be blamed for getting over-excited after Leicester twice come back, at 2-0 and 3-2 down, and must have felt they had won a point for under-pressure manager Claude Puel when captain Wes Morgan made it 3-3 with an 87th minute header. 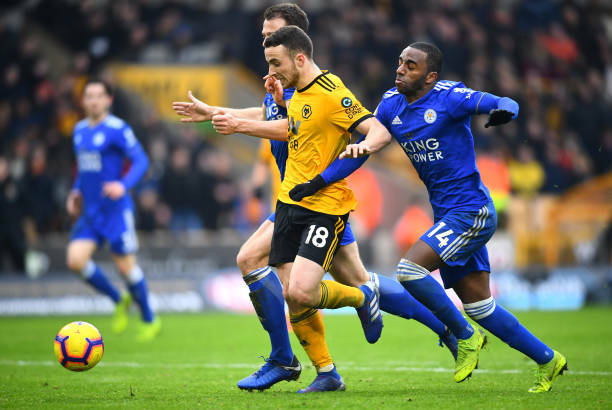 Instead, Wolves, who got off to a quick start with two goals in 12 minutes through Jota and a Ryan Bennett header, would not be denied as Jota snatched his third in the 93rd after a final thrust by the hosts saw them leapfrog Leicester in mid-table.